If Cupid’s arrow has struck and you’re looking to celebrate Valentine’s Day over a romantic dinner in Newport, the Hotel Viking’s One Bellevue, a boutique American bistro, is whipping up a special menu by Executive Chef Kevin Thiele. Guests who want to amp up the romance can stay the night in one of the hotel’s luxury Mansion Suites, where socialites, celebrities and dignitaries have stayed throughout history including the Astors, the Vanderbilts, President and Mrs. John F. Kennedy, President Eisenhower, Will Rogers, Ella Fitzgerald, Louis Armstrong, Joan Baez, Peter, Paul and Mary, Bob Dylan, Roberta Peters, and more. Dinner is $149 per couple; Valentine’s Day night rates start at $449. 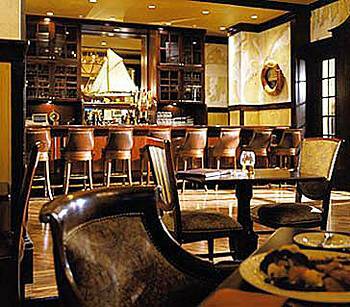 Dinner and hotel reservations can be booked separately or together by calling (401) 847-3300 or 800-556-7126. Entry filed under: Uncategorized. Tags: Astors, Astors Newport RI, Bob Dylan, Bob Dylan Newport RI, Ella Fitzgerald, Ella Fitzgerald Newport RI, Executive Chef Kevin Thiele, Executive Chef Kevin Thiele Newport, Hotel Viking Newport, Joan Baez, Joan Baez Newport RI, Louis Armstrong, Louis Armstrong Newport RI, One Bellevue Newport ri, Paul and Mary, Peter, Peter Paul and Mary Newport RI, President and Mrs. John F. Kennedy, President and Mrs. John F. Kennedy Newport RI, President Eisenhower, President Eisenhower Newport RI, Roberta Peters, Roberta Peters Newport RI, tine's day menus Newport Ri, tine's day packages Newport Ri, valentine's day deals Newport Ri, Valentines day newport ri, Vanderbilts, Vanderbilts Newport RI, Will Rogers, Will Rogers Newport RI. You Had Me at Louis Vuitton Cupcakes…. Baby, You’re a Firework!